Members club with spectacular view over Sydney. Futurespace undertook a refurbishment of The American Club which occupies three floors in Macquarie Street, Sydney. The project took full advantage of the magnificent views over the Botanic Gardens and Sydney Harbour. 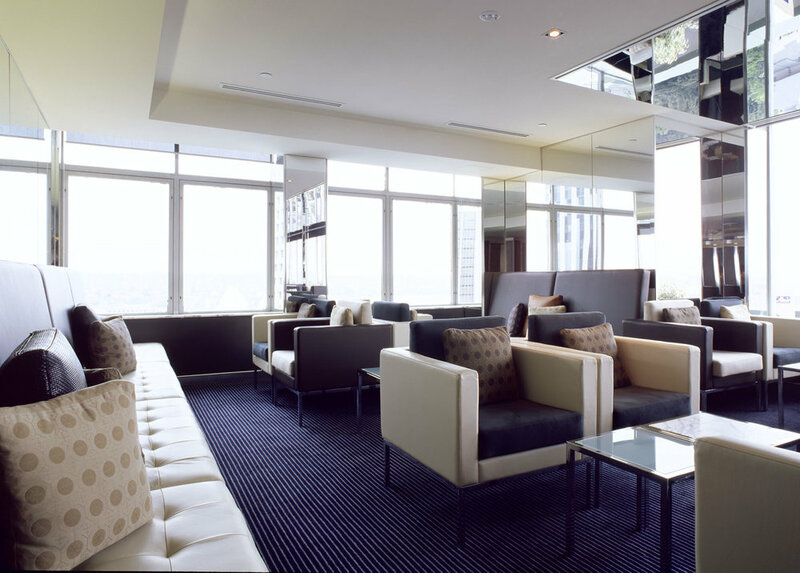 The refurbishment included an upgrade of base building services to meet BCA requirements as well as the creation of a new destination bar on Level 15. The bar provides members with various settings for interaction and socialising. Adjoining the bar is a new business facility incorporating meeting rooms, private dining and support facilities.